B.Sc St. Agnes College (1982) Biology and Chemistry. Professor D'Silva joined the Department of Communication in 1993, after being educated in India and in the United States. Professor D’Silva teaches both online and face-to-face courses in Mass Media Processes and Effects, and Intercultural Communication. She has taught study abroad classes in Cuba, India, Panama, and Peru, and on the Semester at Sea Program (Fall 2014) accompanying students to sixteen countries. She has co-authored several journal articles with Communication students. She has also mentored students in presenting their research at conferences of the Southern States Communication Association (SSCA) (Birmingham, AL, Louisville, KY), Kentucky Communication Association (Cadiz, KY, Prestonsburg, KY), and the International Association for Intercultural Communication Studies (Shanghai, China) among others. The University of Louisville recognized her with its Presidential Award for Multicultural Teaching (2006) and The Kentucky Communication Association (KCA) with its Excellence in the Art of Teaching Award (2017). Professor D’Silva has presented her research at regional, national, and international conferences. 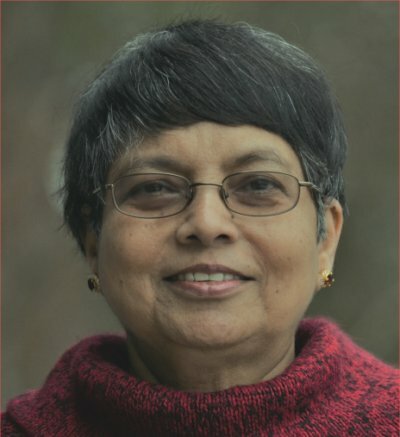 She was an invited plenary speaker for conferences in Taipei, Taiwan (2012) and Vladivostok, Russia (2013), and invited presenter in Oslo, Norway (2008), and Bengaluru, India (2010). She has co-edited two academic books and authored or co-authored over 40 articles and book chapters. She was co-investigator on a $397,000 National Institutes of Health grant. In 2010, KCA recognized her with its Award for Excellence in Research. Dr. D'Silva is an amazing instructor. She is so positive and made me look forward to our next discussion.